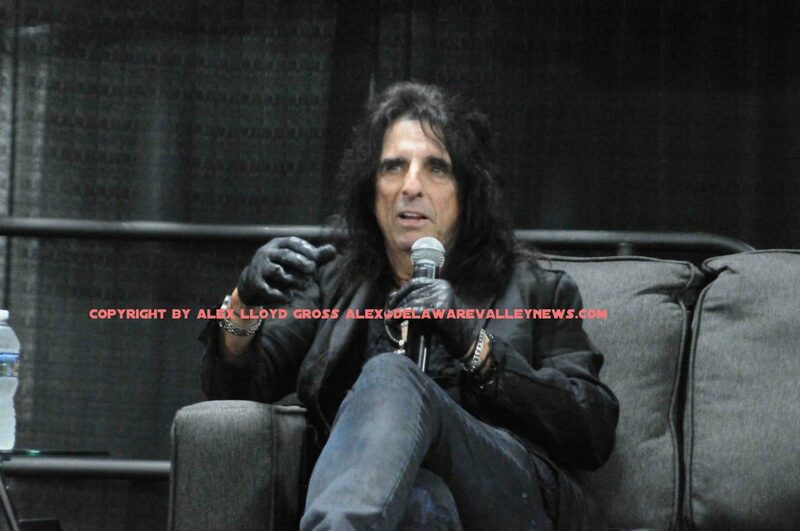 Alex Lloyd Gross- photo- Delaware Valley News.com Alice Cooper. Enough said. 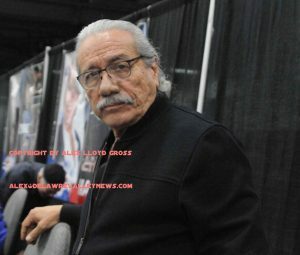 Today, April 14, 2019 is the last day you can go to Philadelphia Comic Con in Oaks Pa.which is about 45 minutes away from Philadelphia, depending on traffic. It’s a convention where people can get dressed up as their favorite character and meet actors. It’s a fun convention, big enough to keep you occupied for more than an hour it;s not so crowded that you can hardly move. It’s a fun time. Alex Lloyd Gross – photo- Delaware Valley News.com Cas Anvar . Alex Lloyd Gross – photo- Delaware Valley News.com Alex McKenna. Cas Anvar is an up and coming actor who plays on the Expanse: That series just got picked up by Amazon. When that series was cancelled by the former host, there was an outcry from it’s fan base. “What I did was provided kind of a link between out incredible fan base who call themselves “The Screaming Fire Hawks” and the production. They were goiing NUTS when the show got cancelled. I found out from our producers what the key elements were that were going to generate a reaction from the people that could save us”. Anvar said. “It doesn’t hurt either, that Jeff Bezos is a huge fan of the show”, he went on. Sorry, he was not divulging anything on the new season. When he was in ARGO, which was a movie about the smuggling of American hostages in Iran that was done by the Canada. “I am a Canadian and I have a lot of knowledge about what happened, it was the Canadian Ambassador that effectuated the entire rescue . Argo was a great movie, great acting, great story, great thriller, but the Canadian in me knew they made the Ben Affleck character the big hero when in reality, it was the Canadian Ambassador, he is the one that came up with the plan”, Anvar said. As a fun project, Anvar is doing “Martian On the Loose”, where he has about 20 Expanse books. “I’m going to be hiding these books everywhere I go, all over the world and I’m gonna post clues , like a treasure hunt”, he said. Sorry, no clues on where he might have hidden a book in this area. Rock and Roll Legend Alice Cooper is there. his line is steady so you will not wait long. you are worthy of meeting Alice and he will be nice to you. A real gentleman, who is nothing like the villain he portrays on stage. He will answer your questions or tell a story.His panel was a smorgasbord of questions by fans who asked him about his early days and his appearance on the Muppet’s. Cooper also spoke candidly about his addition and his love of golf. You would think that the bigger the star, the higher the price. Cooper will draw a sketch for you and it will only cost you $100.00. It'[s the most expensive thing on his table. 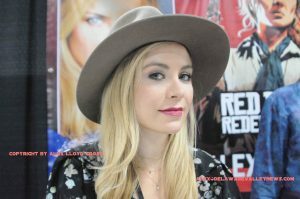 Guys will want to meet good looking women and Alex McKenna and Rose McIver are more than enough eye candy. To top it off, they are really nice and will chat with you even if you do not buy anything. They are there with the cast of Red Dead 2 Redemption. Everyone is together so you can get to meet key cast members. 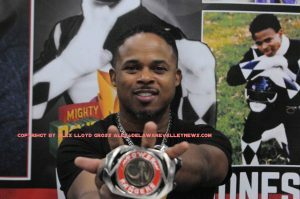 Walter Jones from Power Rangers is there be sure to check him out and ask about his rings. Keone Young is looking much better than when he was shot dead in season 5 of Sons of Anarchy. He is also an accomplished voice actor.